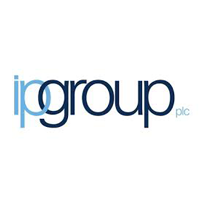 IP Group plc (LON: IPO), the developer of intellectual property-based businesses, notes the announcement by its portfolio company Diurnal Group plcthat, following a positive meeting with the European Medicines Agency (EMA) in March 2019, it has received formal Scientific Advice from the EMA confirming the current clinical and regulatory path for Chronocort® as a treatment for adults with congenital adrenal hyperplasia (CAH). Consequently, Diurnal intends to submit a Marketing Authorisation Application (MAA) for Chronocort® (modified release hydrocortisone) in Q4 2019 based upon the existing clinical data, including data to support Orphan Drug Status in the treatment of CAH. This positive outcome follows the submission of a regulatory package requesting Scientific Advice to the EMA for Chronocort® based on detailed analysis of data from its Phase 3 study, the largest ever clinical trial programme in CAH, and the open-label safety extension study. IP Group currently holds a direct undiluted beneficial stake of 43.3% in Diurnal, a specialty pharmaceutical company targeting patient needs in chronic endocrine (hormonal) diseases.